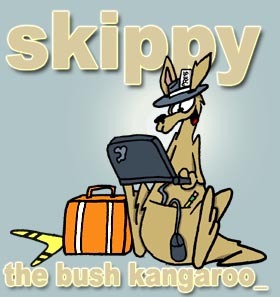 s skippy the bush kangaroo: is america getting smarter? nascar's chase for the sprint cup moved from abc to espn this year, but tv viewers haven't followed. ratings for the first four chase races in 2010 were down 27 percent compared with last year. the decline is enough of a concern that top espn and nascar executives met in charlotte last weekend to come up with ways to reverse the trend. it's a drop-off that has caught network and property executives off guard, and it has led them to analyze viewership patterns to pinpoint reasons for the decline. as of last week, no one had a clear answer. As for why NASCAR lost its viewers, is it really so hard to figure out that in this economic climate, your average person isn't coughing up more to expand their cable service? I have to agree with those above in that I too like to watch NASCAR but never watch Faux Noise. If ABC is wondering why the ratings are down, how about showing the races on ABC instead of reruns of Wipeout??? The only races ABC showed were the night races. When ABC/ESPN started showing NASCAR races this summer, I was only able to get ABC as I was using an antenna to recieve my TV signal. Therefore I was unable to watch the races on ESPN. The main reason I watch is hopefully to see Jimmy Johnson or Jeff Gordon or both get a DNF.